Paul and I were brothers. Though we did not know each other for very long, we were brothers. We shared common interests, a love of family, adoration of our wives, easy love of children and grandchildren. And we shared a special knowledge, one so intimate and beautiful and terrible that we rarely spoke its name, for we shared ALS. Paul and I were brothers. So Paul reached out to me, partly in introduction, partly to comfort, but mostly because he knew we were brothers. My first meeting face-to-face with Paul was at a place that many of you might find surprising. Paul and I were yoga buddies. We would meet at an adaptive yoga course, Paul driven by Dee, and me driven by a friend. We would do our best to fulfill the different adaptations of the yoga asanas, and the nature of the class always meant that our arms were out and our feet were up as we tried to live up to the desires of our teachers, who I guess I should add were female. One Friday, I received an email from Paul telling me that he could not come to yoga that day. “Tell those skinny ladies that I’ll be back next week,” he wrote, and I did, exactly as he wrote it, and they were delighted. More importantly, after yoga Paul and I would drive up to each other in our chairs, grasp hands and talk quietly. We talked about how life was going, we talked about grandchildren, we talked about our wives, and most of all just out of earshot, we talked about living and dying with ALS. 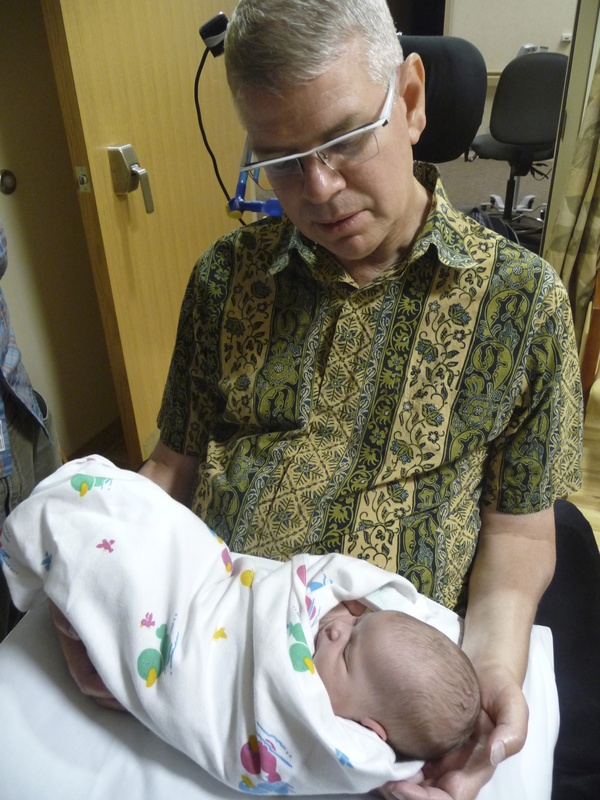 The first time I visited Paul at his home, I went with a caregiver, Natalia that we both had shared. She tried to prepare me for the experience, telling me that I would probably have to be a very good listener. I reassured her that I thought I could be as such. But to be honest with you, I never have heard a man who could segue from story to story to story without taking a breath, and this was in spite of the fact that he was struggling with his breathing. Paul, on his own turf, was one at which to marvel, to shake my head, and to laugh and to cry. To me, Paul was larger-than-life. Overcoming numerous life challenges including surviving a major heart attack, Paul once told me that his heart attack changed his outlook on dying. He told me that ALS could not scare him, because he had seen what was to come. He said, “All of this stuff,” and he waved his hand, “is not that important. It’s much more important to love your friends.” And when we left each other that day I told him, “I love you man.” And Paul replied, “I love you brother.” After that, whether it was a phone conversation or a visit or yoga, we made sure we told each other we loved each other whenever we said goodbye. ALS taught us that life is too short to not say the things that are true. I was asked if perhaps I might talk a little bit about what it was like for Paul to battle ALS. I have struggled with that part of this eulogy, not because Paul wasn’t valiant or brave or strong. I’ve struggled because when you do battle, it is too easy for the enemy to define you. 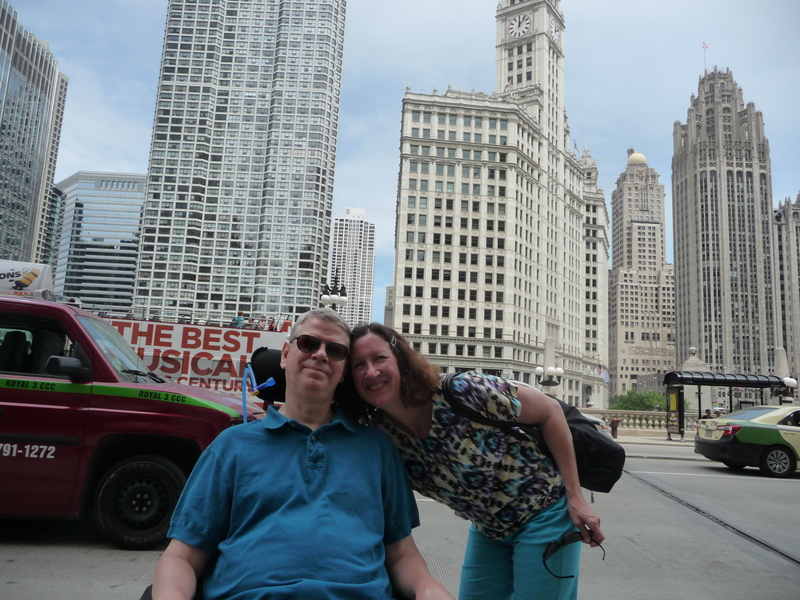 Paul refused to be defined by ALS. He battled its symptoms, he rebelled against what was good for him; I cannot tell you how many conversations Paul and I had about adventures in the bathroom. But ALS could not define him. Instead, he told stories – stories of his childhood, stories of great challenge, stories of his work life, stories of his family, stories of goodness and love, always with a bit of wit and a bit more a moral. If anything, Paul defined not so much the battle, but how to make peace with a life in ALS. In hindsight, I now realize that of all of us in the room that day, Paul was the most aware and lucid. You see, about a month ago Paul and Dee visited my wife and me at our home overlooking Highway 7. Far from moving in and out of lucidity, Paul offered the same gift as when he initially reached out to me. He reassured us beyond our own ability to perceive, that there would be beauty. And for me specifically, a brother in ALS, he offered comfort, prescience, a glimpse of the beyond, that it would be beautiful, and I would see it. As I said, we were brothers; we shared a lot. When I left, I told him that I wouldn’t say goodbye because I knew we would meet again. In my future, and probably in all of yours, are many more stories from my friend, my brother – Paul.